The InfinityMom 3-in-1 scarf is yet another example of why I should start marketing my ingenious ideas… because otherwise someone else will! When Cub was first born, I remember wearing my favourite infinity scarf and thinking about how, if it unfolded, it would be a great nursing cover. Well, obviously the creator of the InfinityMom scarf is brilliant and entrepreneurial (and possibly a long-distance mind reader), because here it is: a gorgeous, stylish infinity scarf that can provide a bit of privacy when nursing. Now, I have come to be very comfortable nursing in any and all public situations. But when Cub was first born, I was all about covering up, mostly because we were both still getting used to the whole nursing thing and getting a good latch involved exposing my breast more than it does now. I had a nursing cover that went around my shoulders, and I sometimes would forget I was wearing it. Looking back at pictures, I look like I’m wearing some kind of mini poncho. If I forgot my nursing cover, I’d have to try to wrangle a receiving blanket over myself, and it would inevitably fall off. The InfinityMom 3-in-1 scarf is functional fashion at its finest. Now, it’s called “3-in-1” because you can wear it when you’re pregnant (1), as a nursing cover (2) and whenever you want (3). I’ll be honest and say that this moniker is a bit of a marketing gimmick: it’s an infinity scarf that unfolds, meaning it can be a nursing cover. “Unfolding Infinity Scarf So You Can Nurse” is much less catchy. A traditional infinity scarf would normally be sewn together to make a 2 ply loop. Instead, the InfinityMom opens up to create a wide swath of fabric for nursing privacy. Once it’s folded back up, it’s a regular scarf. Because it opens up so wide, it can also serve as a blanket if you’re in a pinch! I don’t cover when nursing my toddler, but I attempted to show how it works and he cooperated… sort of. For now, I’ll be wearing it as a fashion accessory. Come baby number 2, it’ll come in handy when I need a bit of extra privacy! 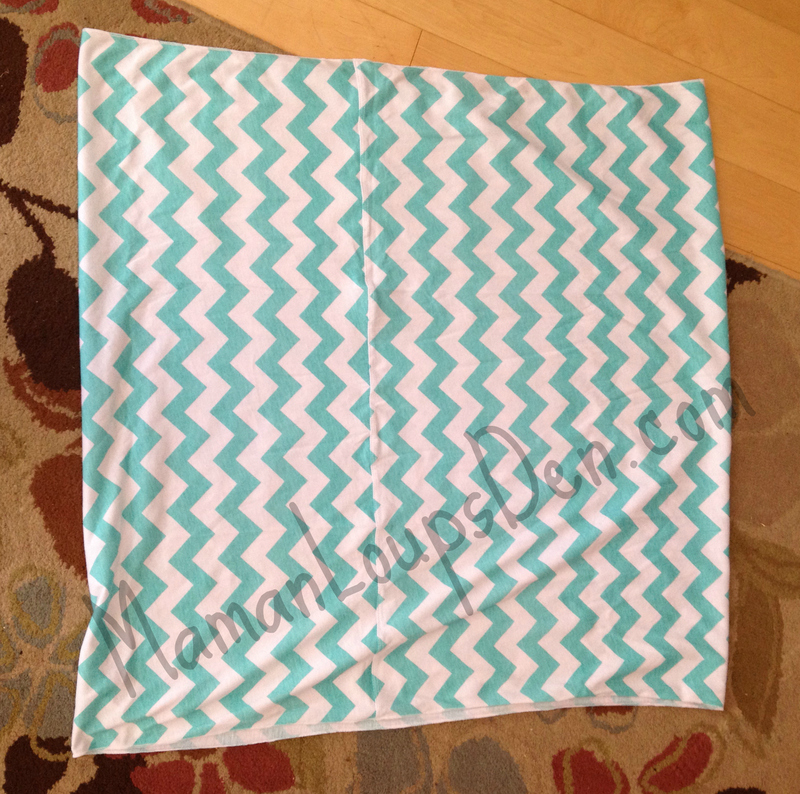 InfinityMom scarves are made in the US. If you’re near White Rock, BC, check them out at my newly-discovered-favourite shop, Not For Long Boutique! Summer Lovin’ my Hotmilk Nursing Nightie!